In 2019, disruptive new technologies and standards will drive IT departments to implement a secure SD WAN solution in order to ultimately transform their business models. We’ve seen that current MPLS architectures don't support cloud migrations. Data and traffic must be managed securely to protect organizations and meet evolving and increasingly complex security and compliance regulations. With this notion and challenge at the forefront of organizations’ minds, alongside the recent introduction of 5G and the continued trend of enterprises shifting to the cloud, here are my big four predictions for the year. 1. Secure SD WAN will enable enterprises to deliver consumer-like experiences to end users. For several years, we've accepted a distinction between consumer-grade software (simple to install and use) and enterprise-grade software (reliable and secure but usually clunky and hard to use). The challenge has been that enterprise application developers have lacked the ability to take advantage of the agility and flexibility of the cloud while ensuring reliability and security. The rise of an end-to-end, highly secure SD WAN solution will enable these developers to fully leverage the cloud, both for a more rapid development cycle and to make it easier and faster for enterprise users to use applications and access their data. The result will be that in 2019, the line between business and consumer apps will blur, enabling the workforce to leverage both securely and in a compliant way. 2. First 5G connectivity deployments will reduce connectivity installation lead times and increase in access options and bandwidth capacities for business. With the advent of 5G, SD WAN applications and implementations will hugely benefit. In addition to faster speeds, SD WAN can manage high-bandwidth traffic, address latency and identify irregularities - ultimately providing a more secure network. The ushering in of 5G technology will help meet the growing demands of the enterprise and allow SD WAN to be more flexible, easily changed and manageable. With 5G expected to operate up to 100 times faster than LTE/4G, 2019 will be the year SD WAN is integral in driving value across the network. 3. Enterprises will begin to stop thinking about networks and appliances and instead ask what's the most efficient way they can get applications up and running in a multi-cloud environment with the level of security they need. Marketing teams are accustomed to pushing Harvard professor Theodore Levitt's quote - "People don't want to buy a quarter-inch drill. They want a quarter-inch hole" - to keep product teams and prospects focused on what's important. In 2019, secure SD WAN will enable this idea to take root in the IT department. Business users want the applications and access to data they need to enable them to get better quality work done faster. But to deliver these applications and access, IT has been forced to focus on the nuts and bolts of networks, hardware appliances, cloud storage and more - pretty much everything except easily providing secure access to the applications and data users need. That is all about to change. With a secure SD WAN, IT will be able to rapidly deploy applications to multi-cloud environments anywhere in the world, easily connect those applications to any enterprise data source, secure the applications via global security zones, and have the application automatically take advantage of other global security parameters configured in the SD WAN. 4. The demand for in-depth hybrid cloud and networks will impact SD WAN adoption. The impact of data breaches and data privacy compliance violations put an organization at risk of not only extensive regulatory fines and high costs related to resolve the problem, but also long-term reputational damage of trust. As a result, after a period of consolidation, management now sees cyberattacks as an enterprise risk and is demanding actionable and effective threat protection. Deeply integrated next-generation advanced security measures and analytics are necessary to address this risk, which will have a significant impact on secure SD WAN adoption as IT looks to rapidly implement the best solution for securing the enterprise's shift to the cloud. 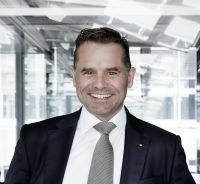 Martin Bosshardt is the Interim CEO, and President and Head of Customer Experience & Innovation of Open Systems. He has led the company since 2002, executing the company’s investment and strategy shifts through expansion around the globe. Prior to Open Systems, Martin joined ABB, followed by taking a management role at Futurecom Interactive. He was awarded the SVC Entrepreneurs Award in 2010. He’s on the Advisory Board of PwC Switzerland. Martin studied at the Swiss Federal Institute of Technology (ETH) in Zurich and Todai University in Tokyo. He holds a master's degree in electrical engineering from ETH.